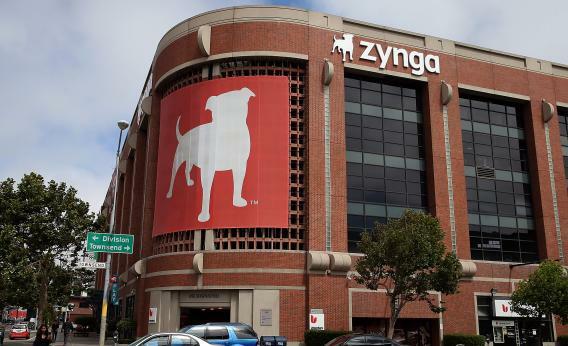 Zynga Q2 earnings: CEO Don Mattrick abandons gambling, all hope. A future abandoned office building in San Francisco. Zynga, the social-gaming company made temporarily rich and permanently famous by time-wasting titles like FarmVille and Mafia Wars, was always fated to sleep with the FishVille fishes. But at least under founding CEO Mark Pincus, you could count on it going out with guns blazing and cannoli strewn all over the walls. On Thursday, the company made its first quarterly earnings announcement since the volatile Pincus stepped down to make way for designated-adult Don Mattrick, formerly of Microsoft—a move that was roundly applauded at the time. For at least the past year these reports have served mainly as check-ins on the Zynga death watch. So it was no surprise that Thursday’s results were grim, including a nearly 40 percent drop in active users from just one year ago. The surprise was that the company has decided to throw down the last assault-grade weapon in its arsenal—its longshot bid to become a hub for legal gambling in the United States. Admittedly there are good, boring reasons why an otherwise healthy company might want to avoid the vicious and drawn-out legislative battles required to bring its real-money gambling plans to fruition. But Zynga is not an otherwise healthy company. It is a terminally ill patient with only one leg left to stand on, and it just shot itself in the corresponding foot. The decision was so confounding that even Reuters struggled to write an objective lede: “Zynga Inc said on Thursday it will largely abandon its long-running efforts to build a real-money gaming business in the United States, a prospect observers had believed to be the struggling company’s sole, tenuous lifeline,” Gerry Shih reported gamely. The company’s stock plummeted 14 percent on the news. Or rather—from the perspective I’ve come to adopt over the past year of covering the company—the company’s stock inexplicably retained 86 percent of its value. To those still holding onto shares, fear not: This will all be over soon.